Have you heard about the amazing promotion Stampin' Up! is running in August? 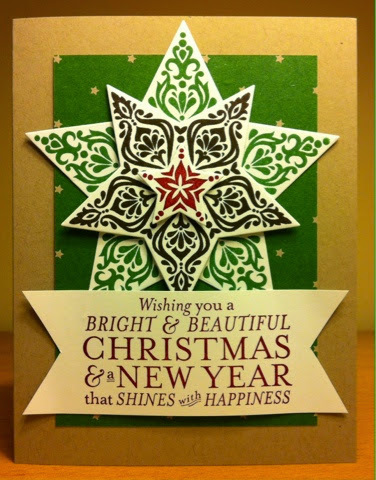 Place the second cutting plate on top, roll through the Big Shot and assemble your card. This card base is Crumb Cake, the designer series paper if from a paper stack that is in the Holiday Cataligue called Trim the Tree (let me know if you need a Holiday Catalogue, I have them here). I attached the top two star layers with Dimensionals to add a little height, and I curled the sentiment with my fingers a little to make it more like a banner or scroll. 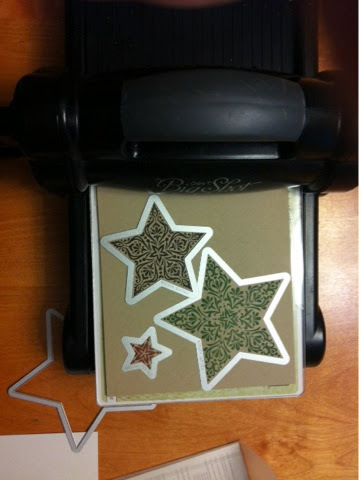 Look forward to seeing more projects using this stamp set and the Star Framelit Dies, I'm not done with these yet!